Letter from Rev. 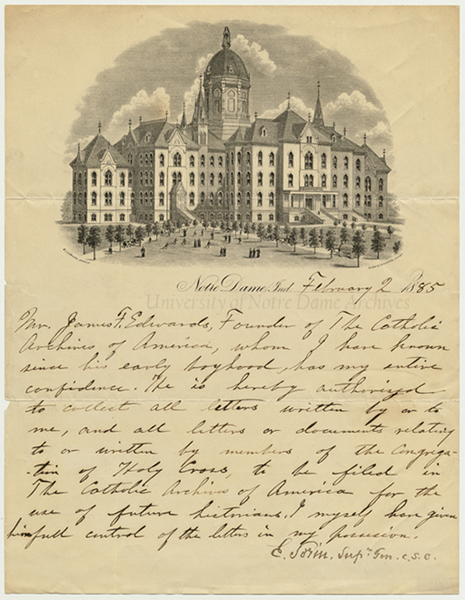 Edward Sorin authorizing James Edwards, “Founder of the Catholic Archives of America,” to collect letters and documents written by or to Sorin or about the Congregation of Holy Cross, 1885/0202. 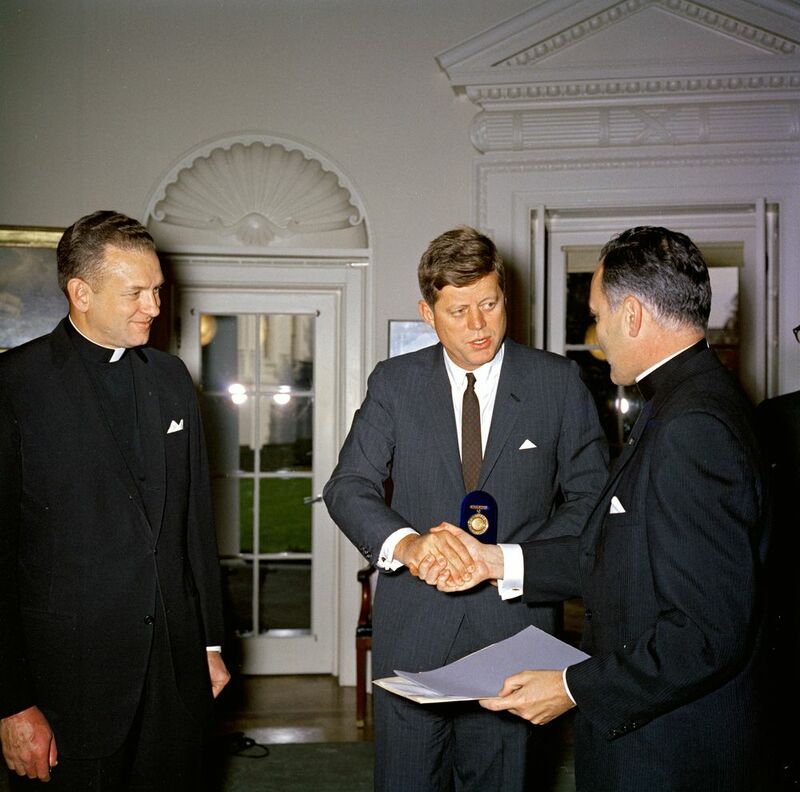 Edward’s collections are the foundation of the Catholic manuscripts in the Notre Dame Archives. There is $1,000,000 up for grabs and the votes made on Notre Dame Day will determine how that money is distributed. For the first gift you make (minimum $10), you will receive five votes to spread as you wish. 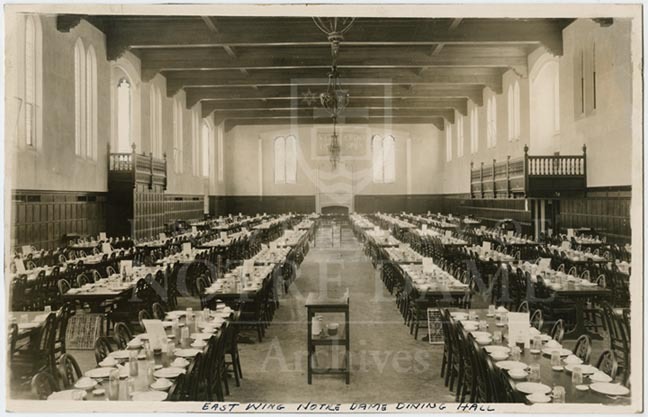 Your initial five votes for a $10 donation could mean an additional $100 for the University Archives. Each gift after that (minimum $10) will give you one vote. If you plan to donate more than $10, it would be worthwhile to break it up into separate $10 gifts. In addition to the voting, you may designate your gift to go directly to the Notre Dame Archives by noting it in the special instructions box. Voting has already opened, but the leaderboards and activity won’t be revealed until Sunday night. 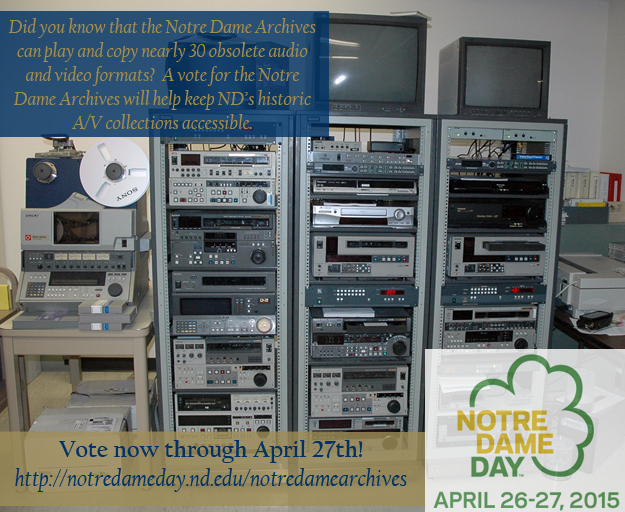 Your generous donations on Notre Dame Day will help the University Archives to support its collections – from buying archival supplies and archaic video equipment to digitization. 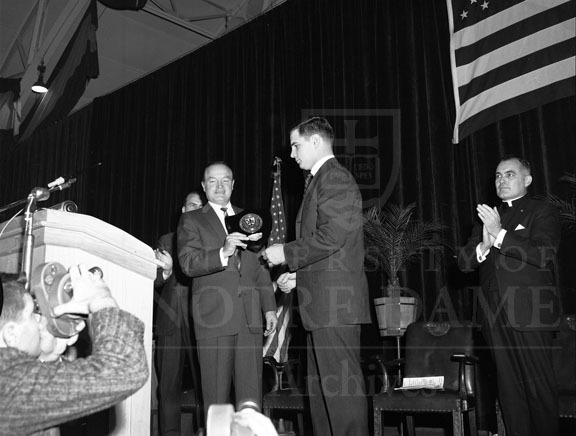 Thank you for supporting the University Archives in preserving the history of Notre Dame and of the Catholic Church in America.